Florida is the quintessential winter vacation destination. Warm weather, sunny skies, and beautiful coastline are all major selling points to those from colder climes, but, for birds, the area is truly epic. The wetlands that are everywhere are full of ibis, herons, egrets, gallinules, Anhinga, and other waterbirds, the shoreline is full of terns and shorebirds, and the woods and scrublands are full of wintering songbirds. 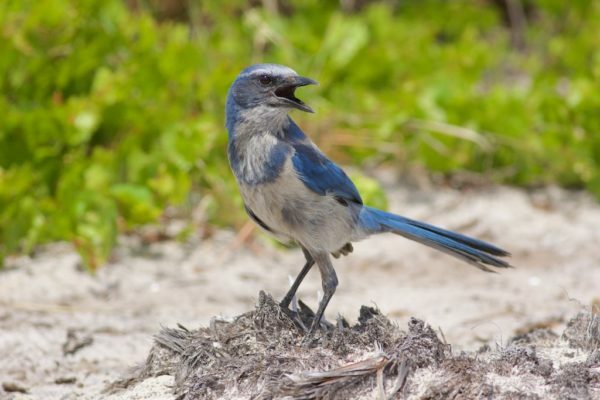 Join this field trip offered by Red Hills Birding and visit some of the country’s top birding locations like Ding Darling National Wildlife Refuge, Corkscrew Swamp, the Everglades, and the Florida Keys. We will certainly enjoy the bounty of birds and will search of specialties of the region, like Florida Scrub-Jay, Red-cockaded Woodpecker, Brown-headed Nuthatch, White-crowned Pigeon, Wood Stork, Roseate Spoonbill, Short-tailed Hawk, Limpkin, Snail Kite, Magnificent Frigatebird, the many exotic birds around Miami, and much more. This trip makes for a great bird-filled winter escape.